Chuck, also known as the Financial Doctor, understands the serious consequences that can happen when people receive biased advice. For this reason, he founded Price Financial Group Wealth Management, Inc., a Registered Investment Advisor Firm to legally and ethically act in a fiduciary capacity when it comes to providing unbiased financial advice. In fact, he’s been dedicated to this goal for over 40 years. Chuck prefers to think of himself as a financial advocate, because he acts on the behalf of his clients and proudly champions his cause. Through his company, a radio program, speaking events, and soon, a book, Chuck is leading the fight against unethical investors and national regulations and policies that keep people in the dark about the reality of their investments. Chuck, is an author of the book “Investing Simplified” which is available on Amazon.com (here) and has a website at www.InvestingSimplifiedBook.com and is featured financial expert on Freedom 970AM “Investing Simplified®” live radio show every Saturday at 8 am and a featured guest on KPAM AM860 on Terry Boyd’s World www.kpam.com and radio show every Saturday noon to 1pm and Sunday 5pm Investing Simplified®. The unfortunate truth is that not enough people understand investing and retirement planning today, even though it’s more important now than ever before. Even worse, there are advisors that use slimy gimmicks and traps to lure in their business and happily take advantage of unsuspecting bystanders. That’s why Chuck Price (AKA The Financial Doctor) is on a mission to teach people the truth. 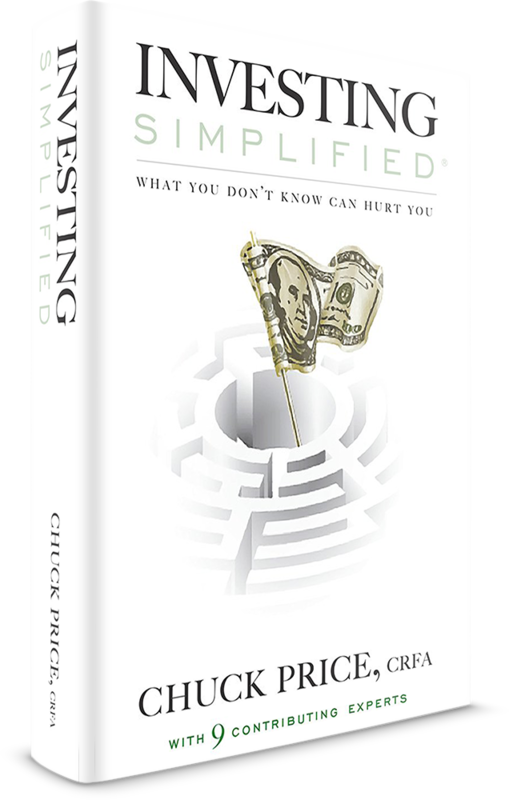 Investing Simplified is the answer and an entertaining way Chuck gets the word out and gets to expose the gimmicks and traps so you do not get tricked. You can also come to expect the occasional discussion on trending news and media. With segments like “Ask The Financial Doctor”, listeners are able to ask seasoned experts direct questions about their personal and business financial matters, goals, and aspirations. 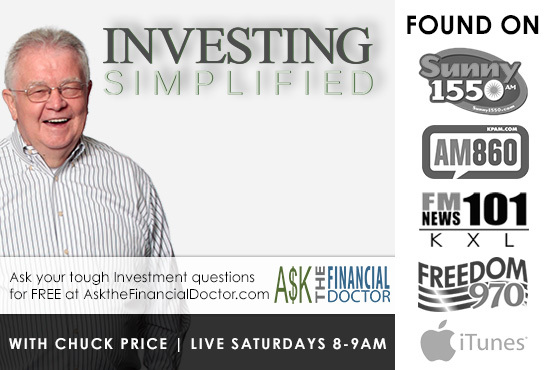 Investing Simplified is LIVE every Saturday morning from 8am-9am PST. When it comes to investing, what you don’t know really can hurt you. Knowing the difference between tricky financial concepts can help you steer clear of dangers and onto the road to a comfortable retirement. Investing Simplified is designed to give you – the average investor – the know-how and the confidence to choose the right financial advisors and the right investments to support you for the rest of your life. Author Chuck Price, also known as The Financial Doctor, has made it his mission over the last 40 years to educate and advise his clients so they can make the best decisions to reach their financial goals. Now, he wants to help you.